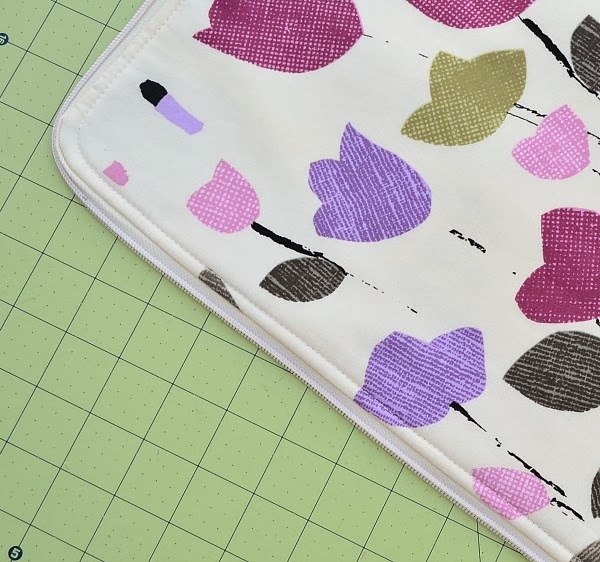 It's Day 3 of our Holiday Headstart Blog Hop, where some of our blogging designer friends are sharing tutorials for gifts you can sew for the holidays (or keep for yourself!). 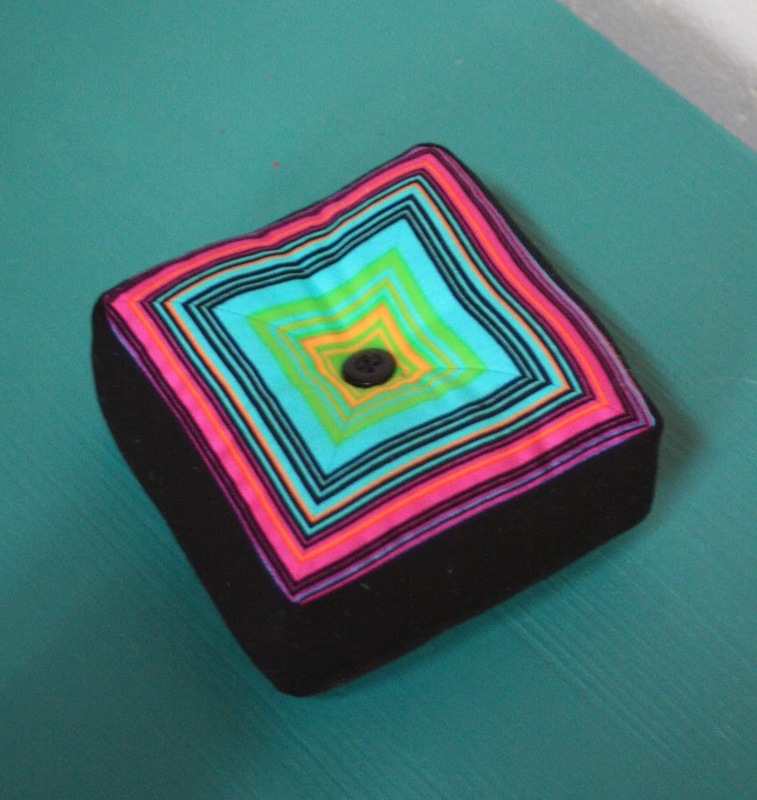 Today our Benartex design team shares a classic pincushion. What sets this pincushion apart? Quite simply, it's in the fabric you choose. A fussy-cut stripe, like the one we chose from Maria Kalinowski's Cool School collection for Kanvas, takes this design from ordinary to special. We'll show you how it's done! 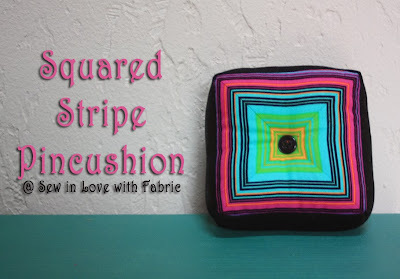 Start with a small stripe--the smaller the stripe, the more detail you'll see on the pincushion. The frequency of the repeat determines how much yardage you'll need--we used 1/2 yard to allow plenty of cutting options. 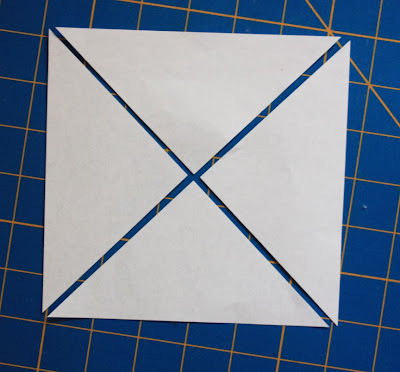 To make the triangle template, cut a 6" square from paper. 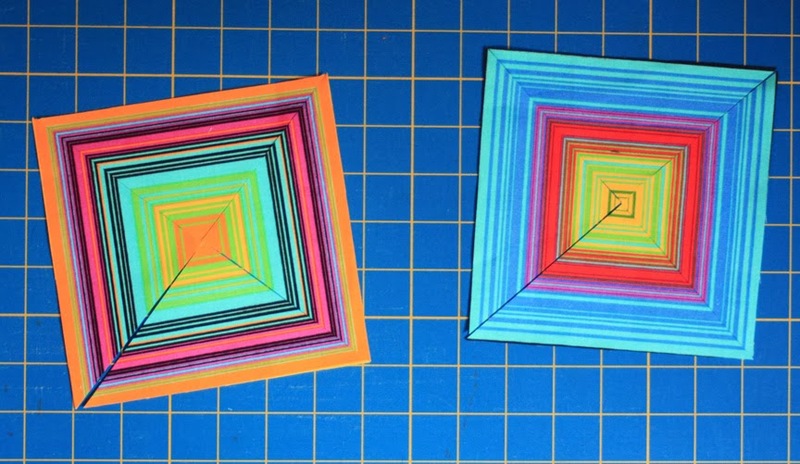 Cut the square diagonally in half twice. 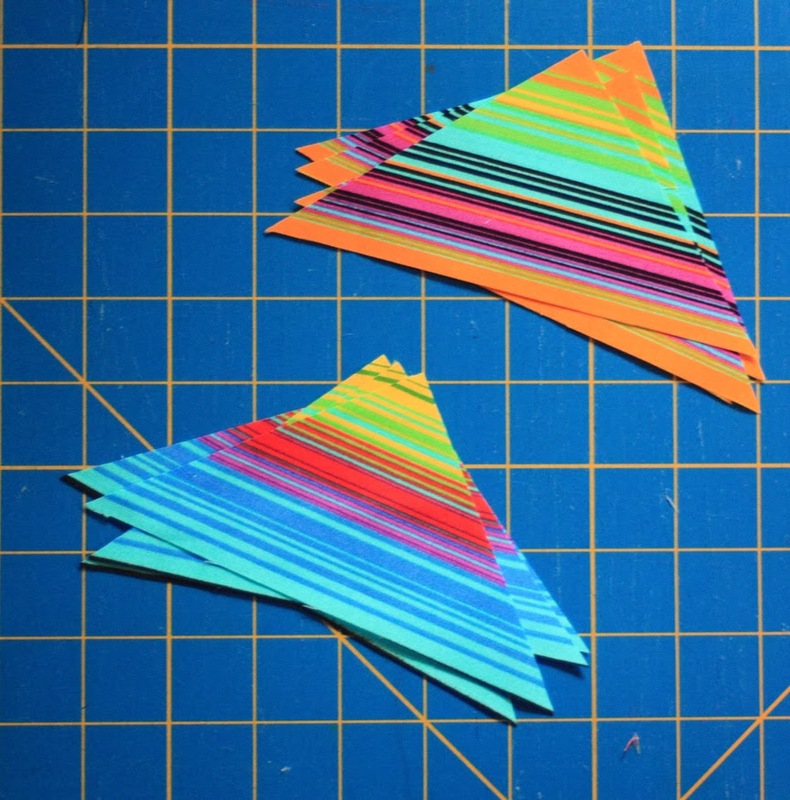 You'll use one triangle as a template; discard the rest. 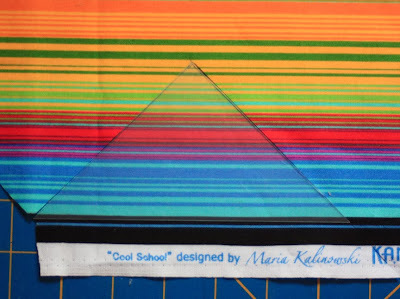 Depending on your preference, you can either trace the paper triangle onto clear plastic template material and cut it out, or simply lay the paper triangle on the fabric and position a ruler over it for cutting. 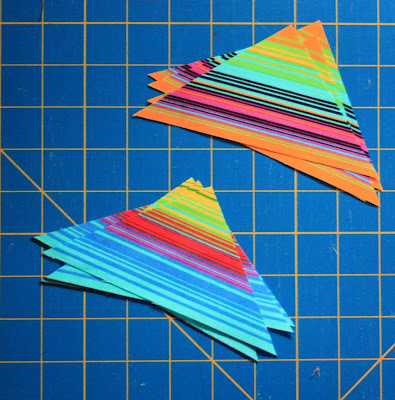 Either way, cut 4 identical triangles, being sure the base and the tip of the triangle template hit the stripe in the same place on each triangle. 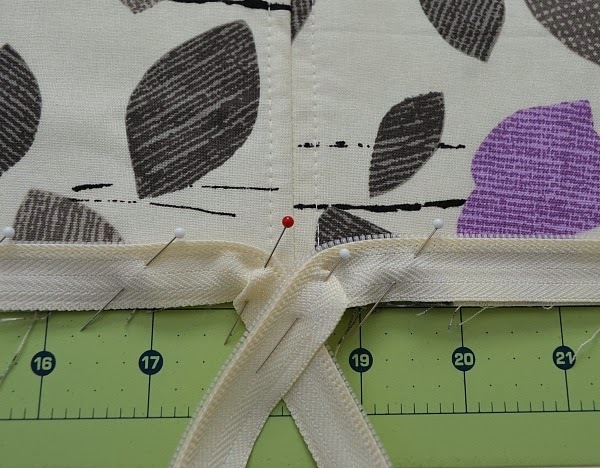 Choose a different spot on the stripe and cut another 4 identical triangles for the back of the pincushion. 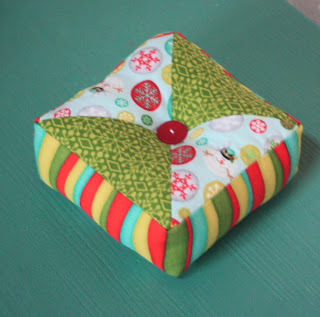 Just for fun, showing you the layout of each side of the pincushion. 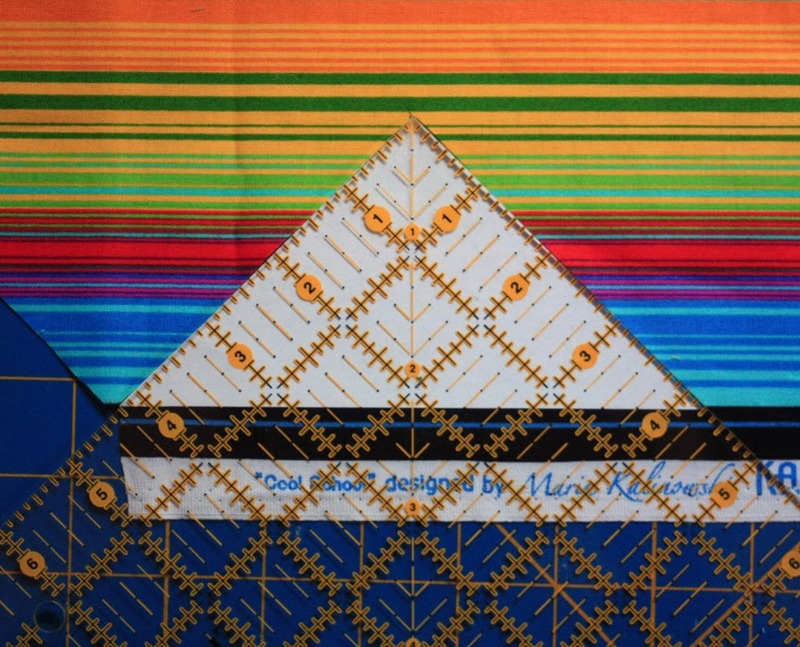 Sew 2 matching triangles together along one short side. Check to be sure the stripes are lining up as you sew. 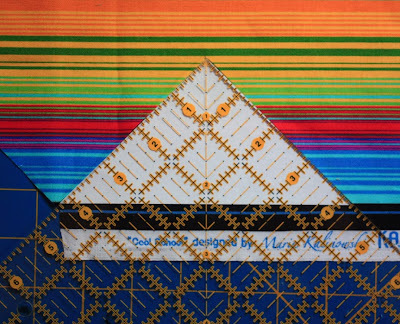 Sew 2 more matching triangles together. Press seams in opposite directions so they'll nest when you join them. Sew the 2 halves together, and then join the 4 triangles to make the opposite side of the pincushion. 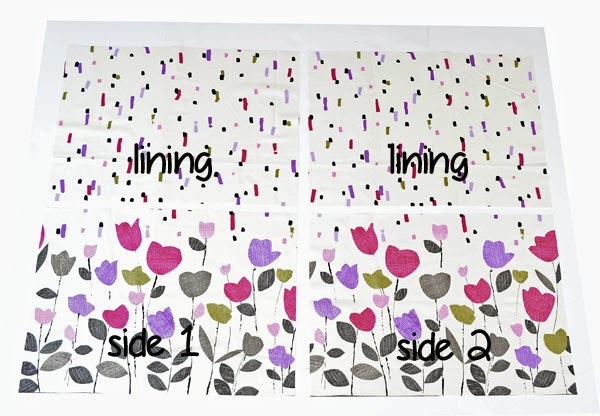 Trim each square to measure 5". 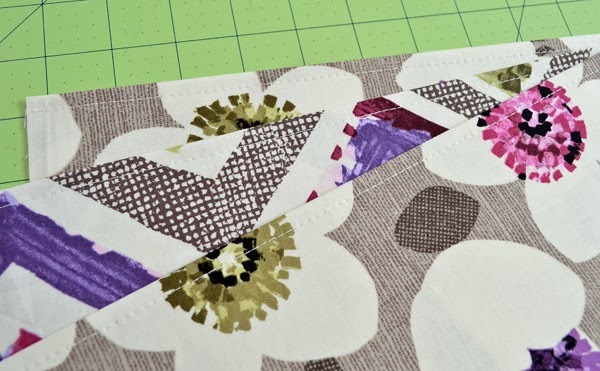 Make sure to line up the seams with the diagonal line on the ruler and check that the 2-1/2" intersecting mark on the ruler lines up with the center of the pieced square. 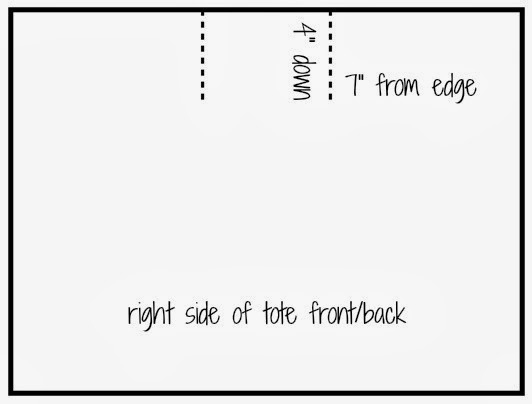 Pin the 2-1/2" x 25" black strip to one side of the square. Start sewing the strip to the square, leaving at least 1" unsewn at the starting point. 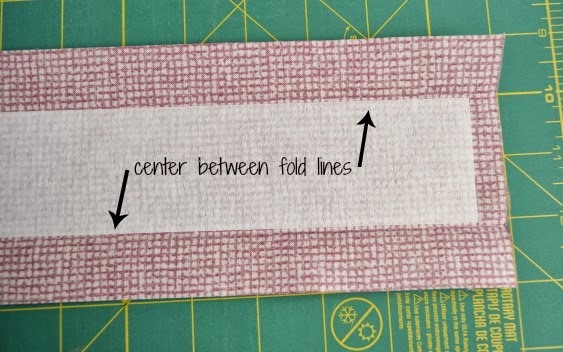 Continue sewing the strip to the square, stopping 1/4" from each corner and pivoting before continuing down the next side. If you find this pivoting technique to be tricky, here's a tip. Stop 1/4" from the edge of the square with the needle in. Lift the presser foot and rotate the square and strip. Take one stitch. Lift the presser foot and rotate the strip so the raw edges align with the next side. That one stitch will help you pivot the strip more smoothly. 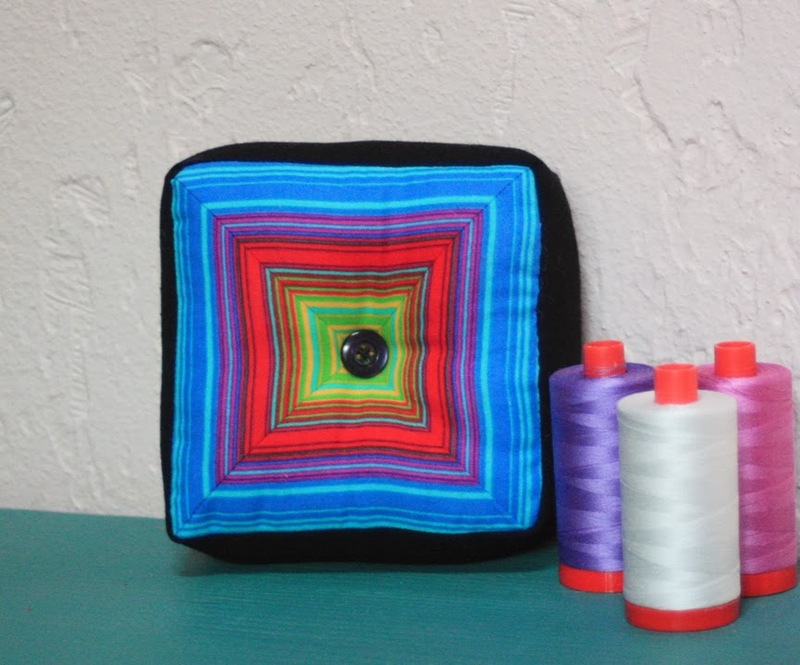 After sewing around the fourth corner, stop and remove pincushion from your machine. Press the beginning strip back 1/4", creating a seam allowance. Lay the end of the strip down and press so the folded edges match. Trim excess strip 1/4" past this fold. 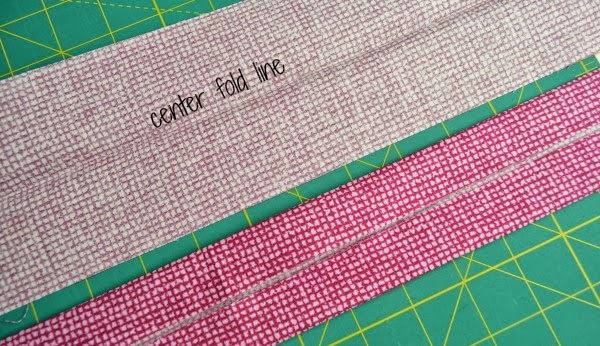 Pin the strip ends together with folds matching and stitch together down the fold line. 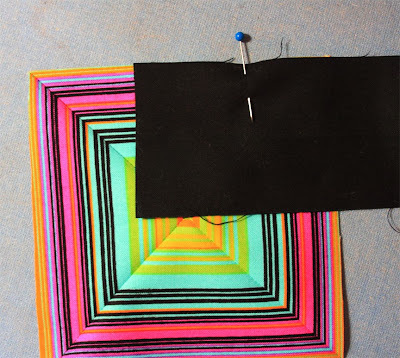 Add the second pieced square in the same manner, leaving an opening for turning. 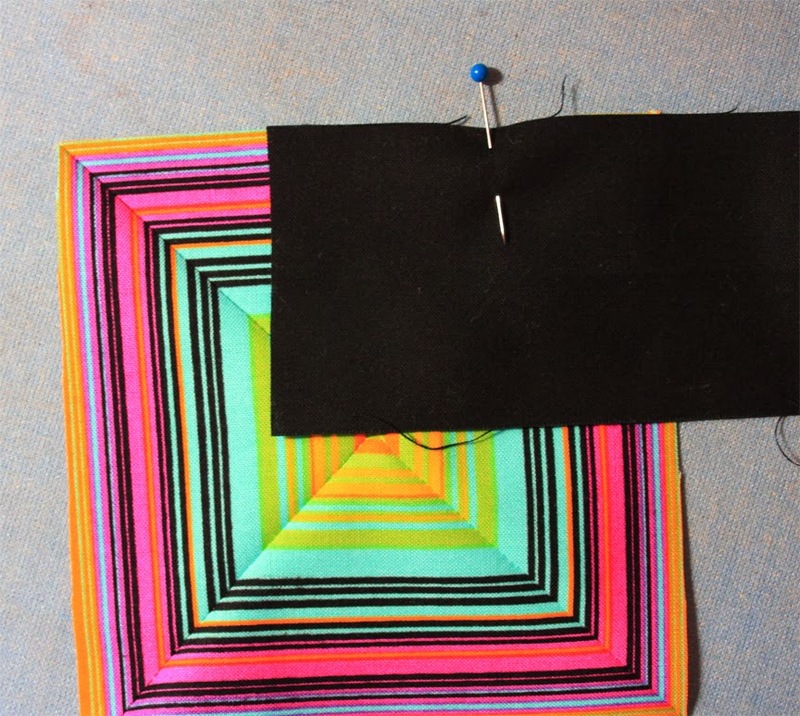 Tip: Press the created "corners" into the black strip to ensure that the second square will line up with the first square. Turn right side out, poke corners with a turning tool, and stuff with fiberfill. Slipstitch the opening closed. The finishing touch: Add a button to the center of each side. Tip: Knot a doubled length of thread and pass back and forth a few times to squish the centers in, and then add the button each side. Easier than trying to aim through those button holes right away! 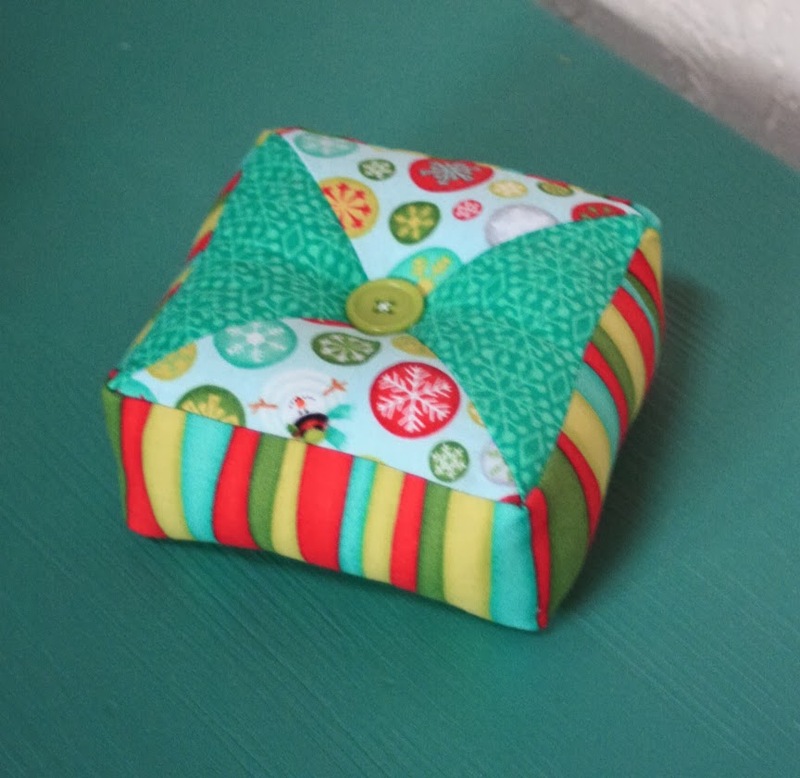 If you're looking for a different way to use stripes on this pincushion design, check out our "Ho-Ho-Ho, Let It Snow" version. We used the stripe on the side and alternated two prints for the triangles. 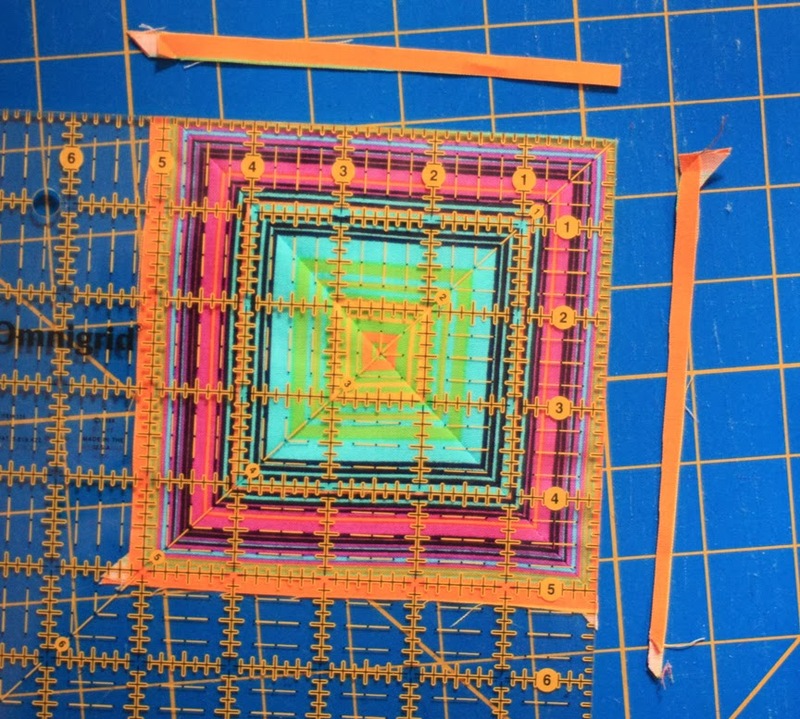 For a smaller pincushion, start with a smaller square for the template. 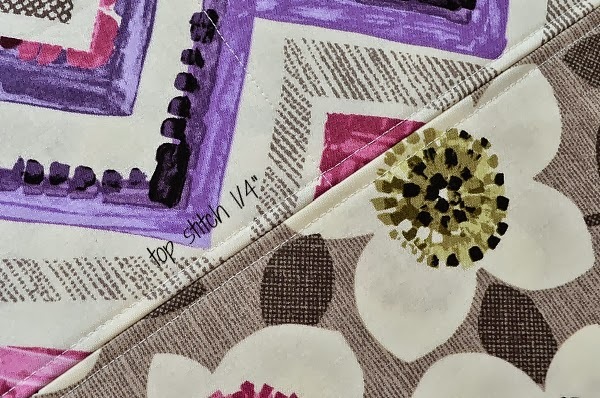 The giveaway: For a chance to win a fat quarter bundle, sign up to follow the Benartex blog using either Bloglovin’ or the email feature (both in the right sidebar). Then leave a comment below this post telling us that you are a follower and letting us know if you've ever made a pincushion before (and if you have...how many?). For a second entry, like us on Facebook and leave a comment letting us know you have. This giveaway will be open through Sunday, November 3 at 11:59 pm EST. It's Day 2 of our Holiday Headstart Blog Hop, chock full of gift ideas you can sew for a friend for the holidays! 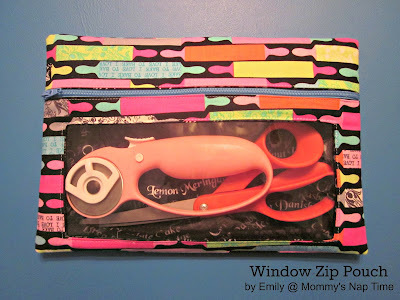 Today Emily from Mommy's Nap Time is here, sharing how she made an adorable pouch (with a window!) from the Baker's Delight collection by Greta Lynn for Kanvas. We bet you won't be able to make just one--you'll want to make one of these for everyone on your list. We hope you enjoy Emily's tutorial! Make sure to head over to her blog to find out how you can enter to win a fat quarter bundle. Hello! I'm Emily from Mommy's Nap Time. I'm excited to be guest posting here today! 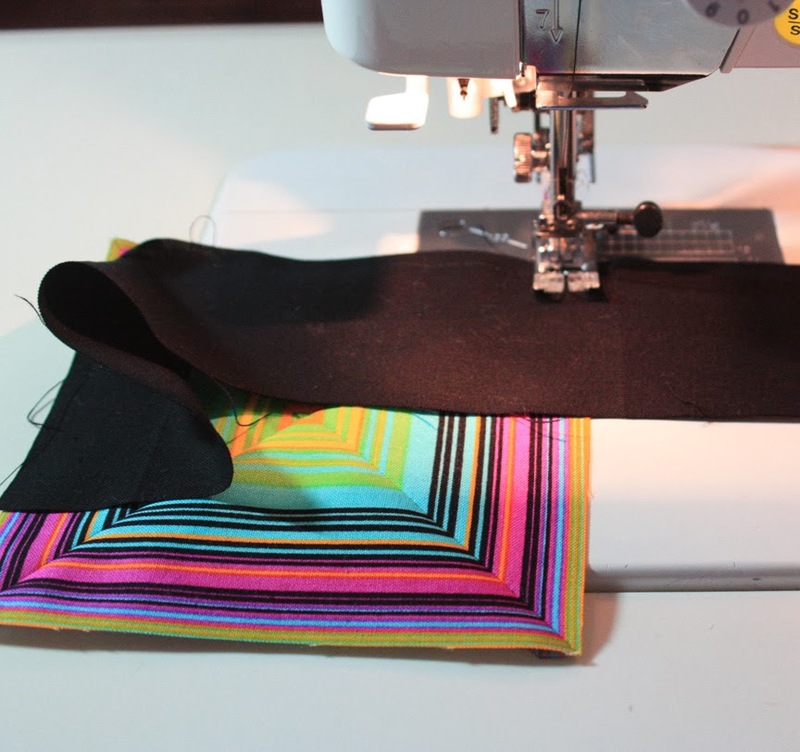 I've been sewing most of my life, and I've been focused on quilting for the past five years. 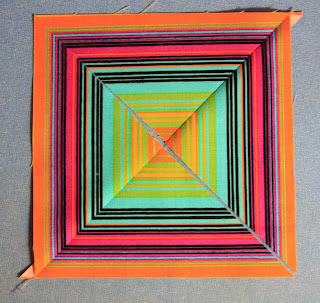 I love tiny piecing and complex blocks mixed with a lot of negative space. 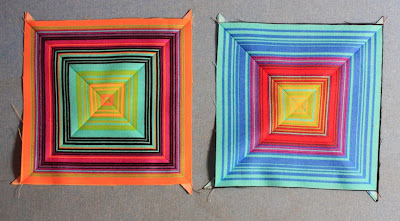 You can check out my quilts here, and my tutorials here. I chose the Baker's Delight line because I'm drawn to bright colors and teeny tiny pieces (those rolling pins measure just 1/2" x 4" and beg to be fussy cut). I also picked these fabrics knowing that my sister would ADORE them - she loves to bake almost as much as I love to sew! This little pouch is made especially for the quilter or baker in mind. 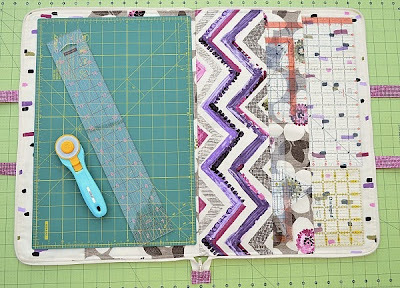 The quilter will love being able to see their tools while keeping them safely stashed away, and the baker can stash their recipe cards and magazine clippings in plain view! Finished pouch size: 7" x 10"
Sewing machine & basic sewing tools. 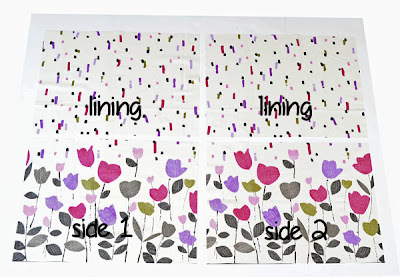 Prepare fabrics by fusing the interfacing to the wrong side of the outer fabric pieces. 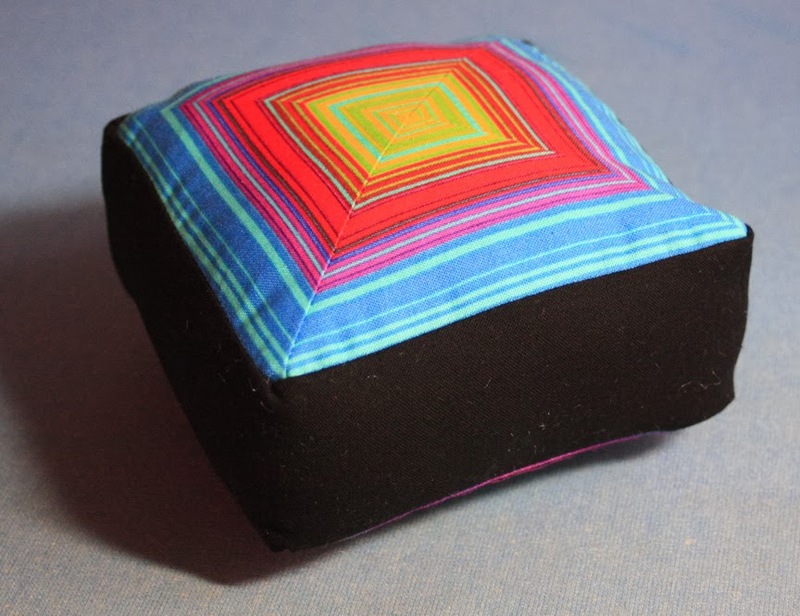 Mark an 3 ½” x 8” box centered on the wrong side of the (6” x 12”) lining fabric. Pin outer fabric and lining fabric (6” x 12”) right sides together, and sew around marked line, crossing past the first stitches at the end to secure stitches. 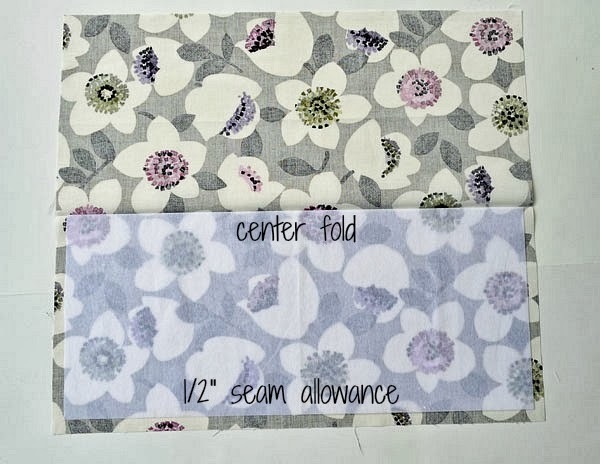 Cut away center fabric leaving a ¼” seam allowance. Carefully clip the corners being sure to not cut the stitched line. Turn right side out and press. Tip: Match the corners as you press to keep the piece from pulling out of shape. Lay the vinyl under the fabric piece just sewn (on the lining side), and topstitch around the window. 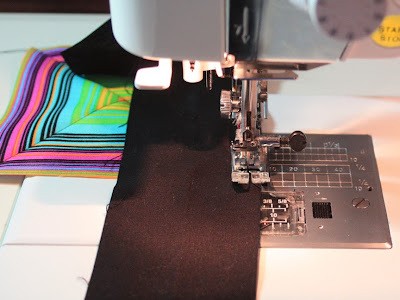 Tip: sew slowly and hold the vinyl in place – pins will not be very helpful for this step, and will cause wrinkling of the vinyl. Trim the window unit to 5 ½” x 11” centering the window. Trim the seam allowances of the vinyl to ¼”. 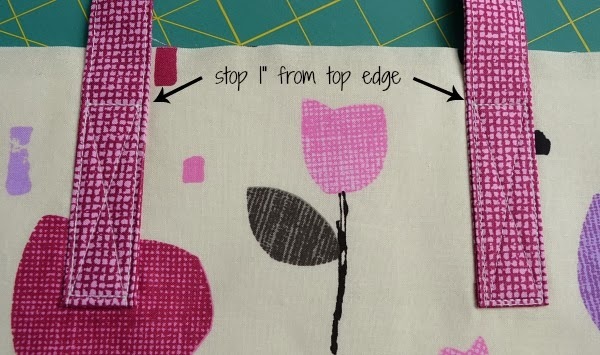 Press top edge of the outer fabric wrong side together ¼”. Repeat for top edge of lining fabric. Set the window unit aside. Stack the 2 ½” x 11” outer and lining fabrics wrong side together. Sew along one long side. Turn right side out and press. This is the top unit. Using zipper presser foot, sew sewn edge of top unit to the top part of the zipper. Sew folded edge of window unit to bottom of zipper. Open zipper three quarters open, and tack the zipper ends by sewing back and forth several times across zipper teeth keeping about an 1/8” seam allowance. 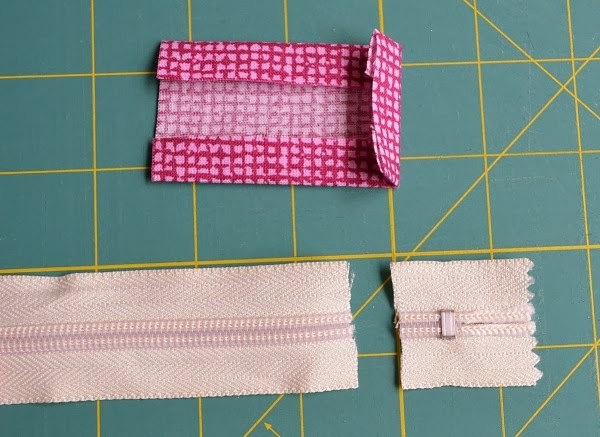 Trim zipper ends to the same length as the fabric. 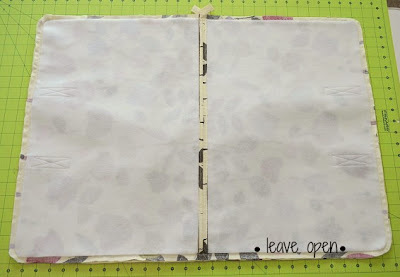 Leave zipper open. Switch back to your regular presser foot. Pin the lining pieces of the window unit to the main lining fabric. 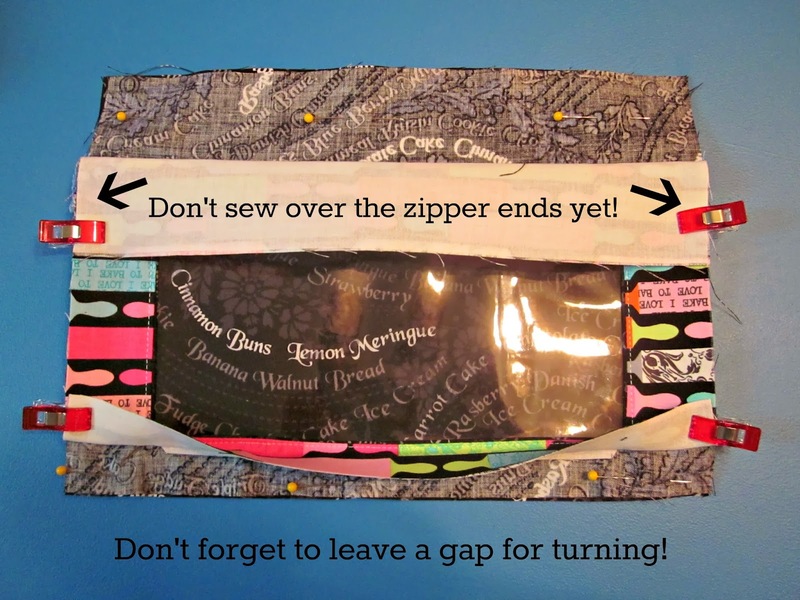 Use clips or pins to hold the outer fabric parts out of the way. Sew around perimeter of lining skipping over the zipper ends (backstitch before the zipper ends), leave a 3” gap at the bottom for turning. Repeat the pinning and sewing for the outer fabrics. Do not leave a gap for turning. Now lay lining and outer sections flat and sew across the zipper ends on each side. Backstitch at beginning and end. Clip corners and carefully turn right side out. Sew the turning gap closed by hand or machine. Head over to Emily's blog to see how you can win a fat quarter bundle for yourself! It's Day 1 of our Holiday Headstart Blog Hop, chock full of gift ideas you can sew for a friend for the holidays! 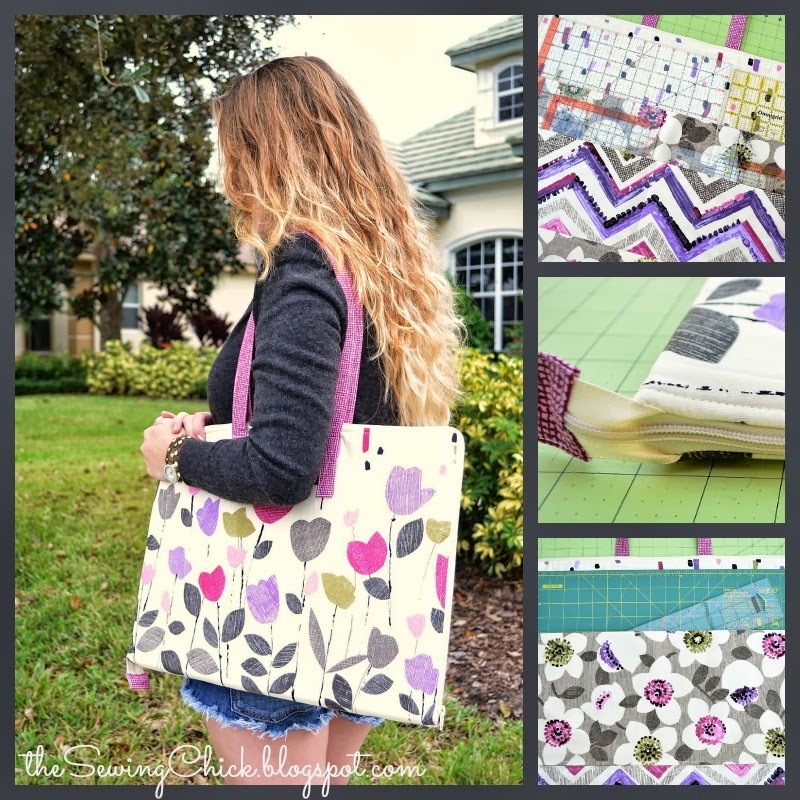 Today Tessa from The Sewing Chick is here, sharing how she transformed the border print from the Cachet collection into a traveling sewing tote. 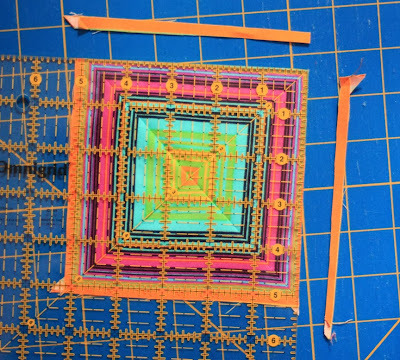 Enjoy Tessa's tutorial, and then head over to her blog to check out her beautiful work and find out how you can enter to win a fat quarter bundle. Hello everyone! My name is Tessa Walker and I blog at TheSewingChick.blogspot.com. My friends and I often take sewing classes together or meet at each other's homes for some girlfriend sewing time. It always seems we are walking in the door dropping rulers and cutting mats so I designed a zippered tote that accommodates a 12 x 18 mat and has enough pockets to hold a wide assortment of rulers. I am delighted to share the tutorial with you today. 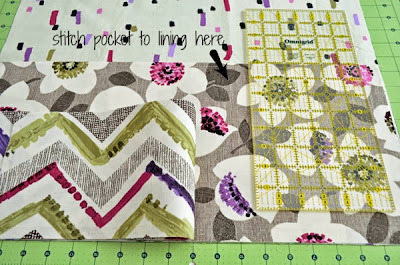 This a great project for fat quarters, but today I am using yardage from the gorgeous Cachet line from Benartex's Contempo Studio. It is designed by the talented Michele D'Amore and comes in three colorways, of which I have chosen the purple/pink/taupe. I cut the pieces for the outside of the tote from the double border print, making a pretty use of the wide modern flower border. ALL SEAM ALLOWANCES ARE 1/2" UNLESS NOTED OTHERWISE. 2 pieces 8 1/2" x 20"
1 piece 5" x 20"
2 strips 2" x 30"
2 pieces 14" x 20"
Stack the outside pieces and the lining pieces and gently round the upper corners (not the bottom ones). 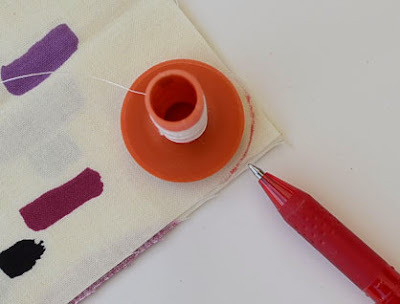 I use a spool of thread to mark the curves and cut with scissors. 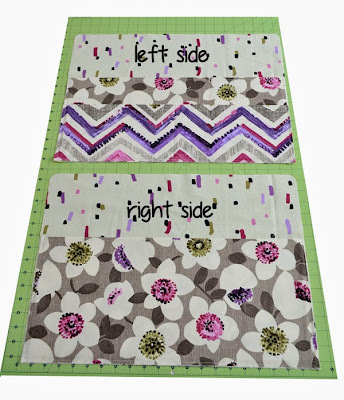 Following manufacturer's directions, fuse a piece of fusible fleece to the wrong side of each of the two outside pieces. 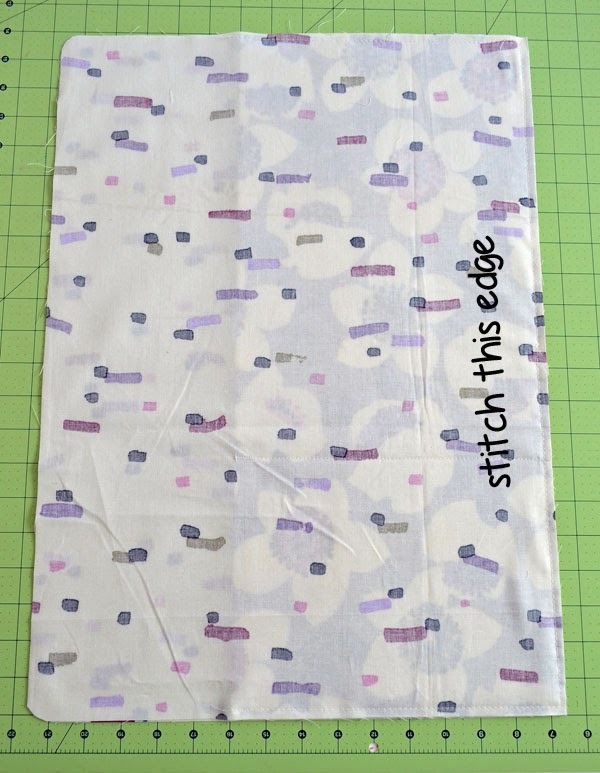 There should be a 1/2" seam allowance around the outside edge. Make inside pockets. 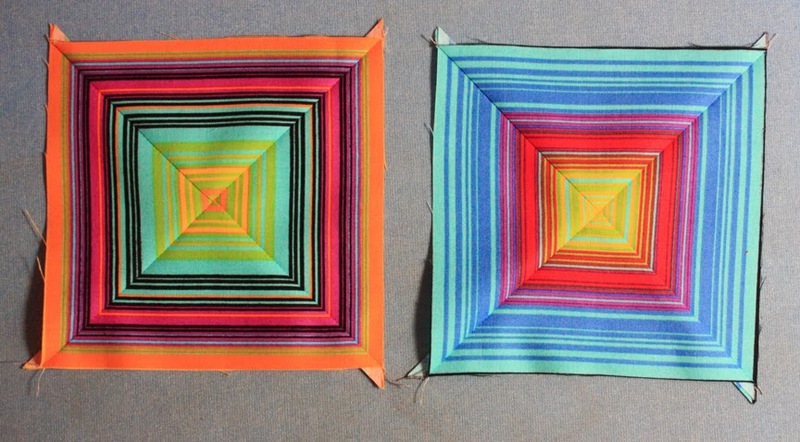 With each of the inside pocket pieces, fold in half along the 21" side and press. Open up and align the edge of a piece of fusible interfacing with the fold line. Fuse in place. Refold the pieces in half and press. Top stitch 1/4" from the folded edge. For the left side, stack the smaller pocket on top of one of the larger pockets, matching raw edges. With a marking pen, mark a line in the center of the small pocket from top to bottom. If you wish, your pockets can be divided differently; use your rulers as a guide. I wanted to be able to accommodate an 8-1/2" square ruler in one pocket and 6" rulers in the other. (Pockets should be at least 1" wider than the ruler). 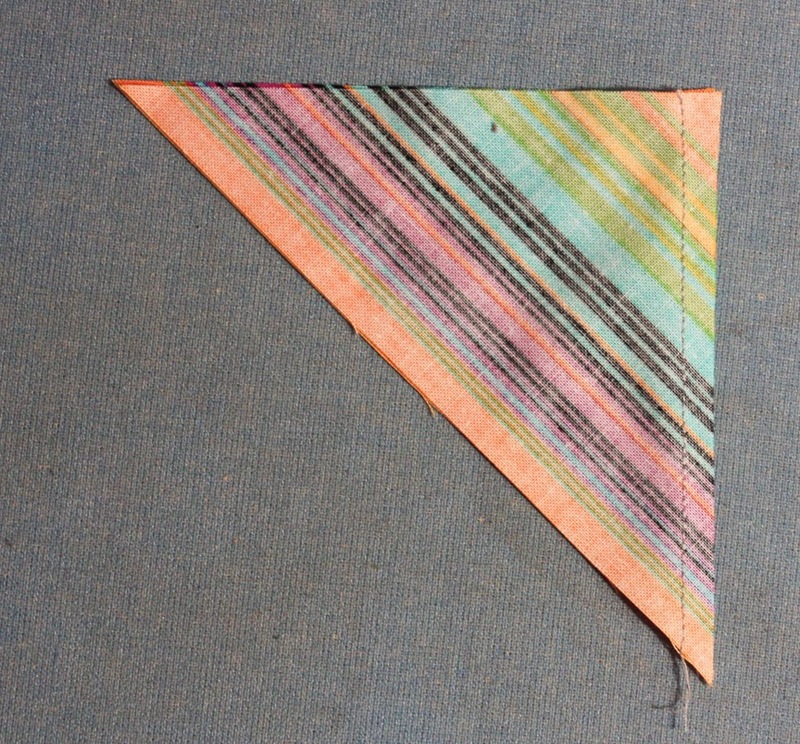 Stitch on the marked line, bar tacking at the top with a small zig zag. 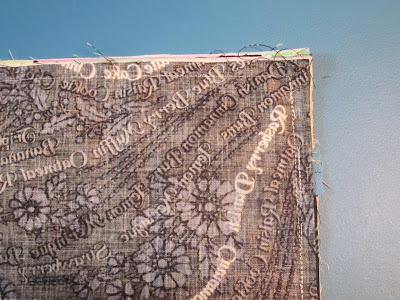 Then stack the pocket on top of a lining piece, matching bottom raw edges. To create a divided large pocket, fold back the smaller pocket, mark a line 7-1/2" from the edge and stitch the large pocket to the lining. I wanted to accommodate a 12-1/2" ruler but you may choose to make your pockets any size. 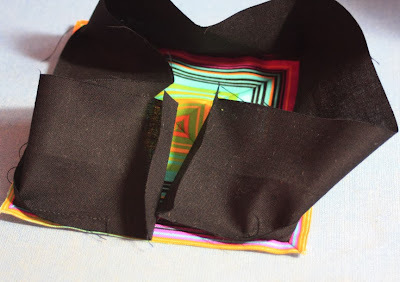 With right sides together, sew the two lining/pocket pieces together along the lower edge. This is a bulky seam. 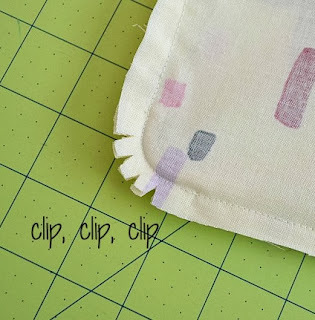 to keep it laying flat, press well with the seam open and top stitch 1/4" on both sides of the seam. Repeat step three for the two outside pieces of the tote. Make straps. 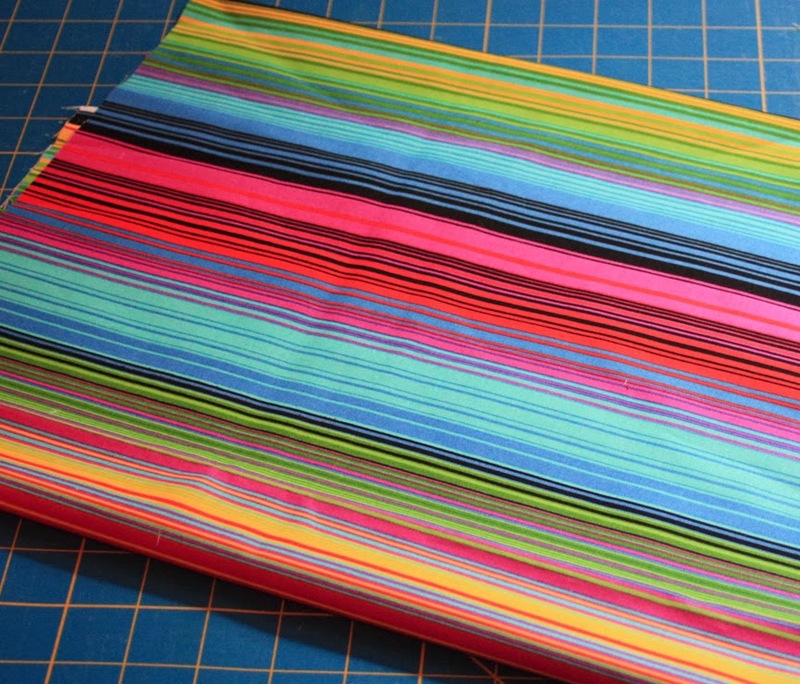 Fold the two 4" x 31" strips in half lengthwise and press. 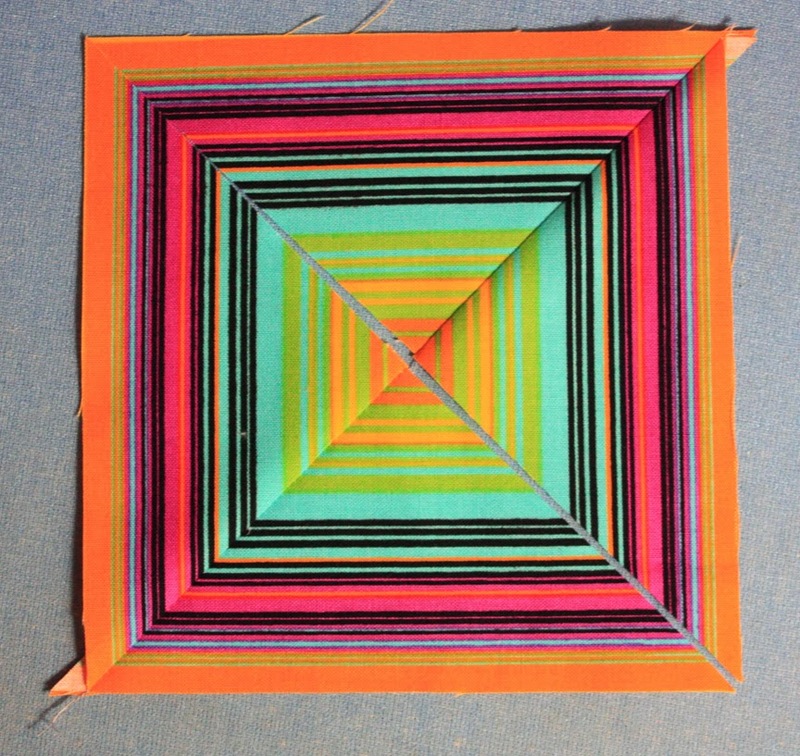 Open up and then fold the long raw edges to meet the center fold line. Press well. 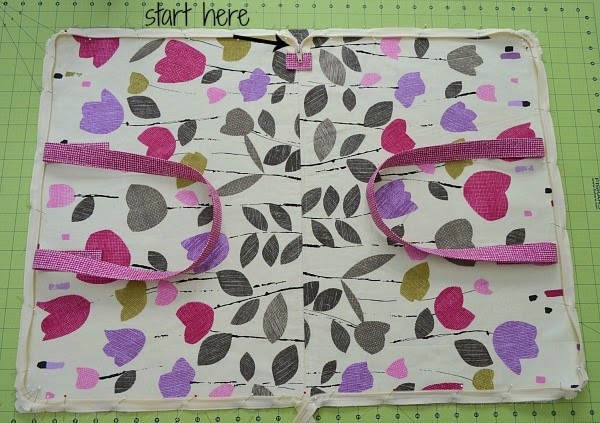 Open up and place a 2" wide by 30" strip of interfacing between the two outer fold lines and 1/2" from each end. Fuse according to the manufacturer's directions. 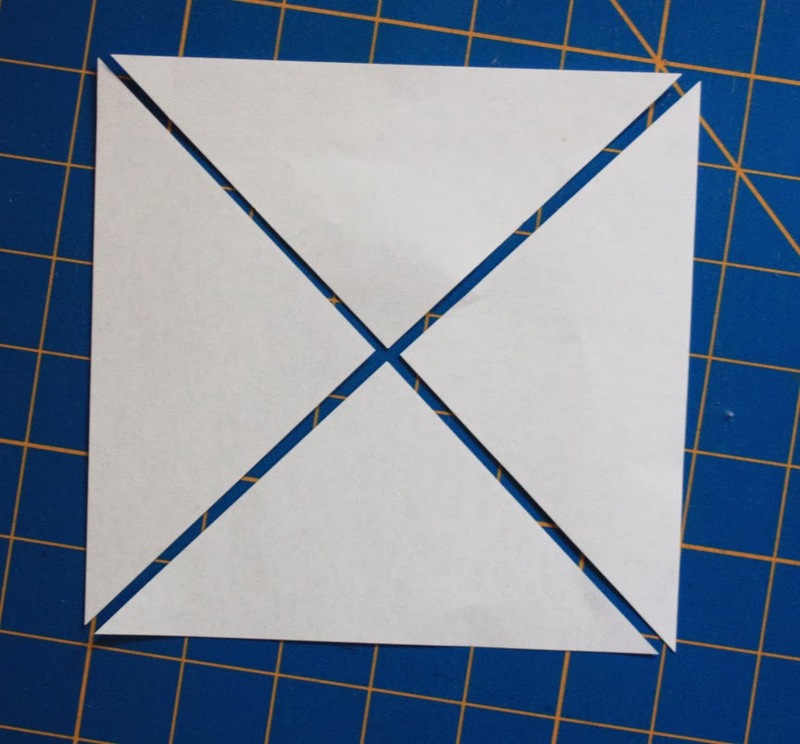 Re-fold along the fold lines, then fold the strip in half again and press well. Stitch 1/8" from each long edge. 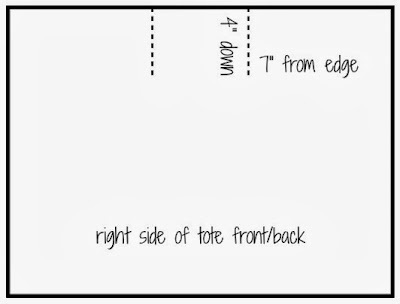 For strap placement, mark a 4" line that is 7" from the edges of the tote front and back. Lay the outside edge of the straps against this line, folding the raw edge under. Be sure not to twist the strap. 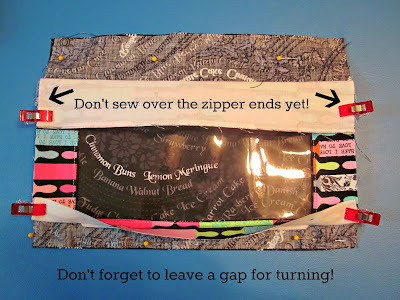 Stitch around the edges to secure, stopping 1" from the top edge (to allow for the zipper). For extra security, I stitched around twice and then stitched an "X" in the center. Time to attach the zipper. I promise it will be easy! You basically just sandwich it between the tote and lining layers. 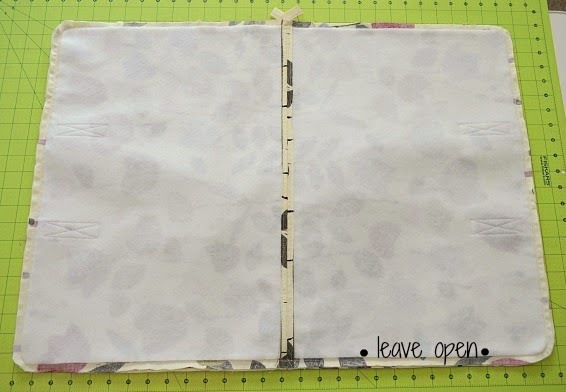 First, let's make a cute zipper tab. With the 2" x 3" scrap, fold in the 3" edges 1/2" and press. Then fold in one 2" edge and press. Zipper tape widths can vary, so test to see that it will completely cover the tape and adjust if necessary. Then trim off the closed end of the zipper to remove the metal tab. 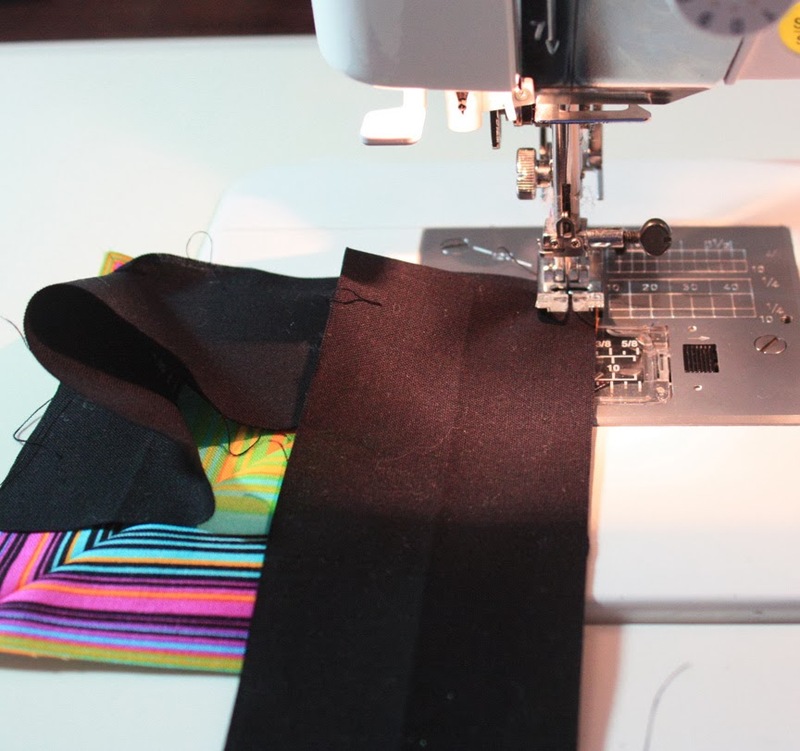 With the right side of the tab and the right side of the zipper together, line up the raw edges and stitch. Go slowly over the zipper teeth. I like to take my foot off the pedal and use the hand wheel for this. 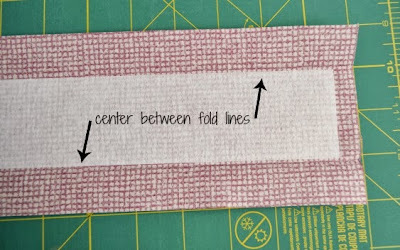 Press seam toward the cut end and fold tab in half so that the folded edge meets the stitching line. Pin and stitch around the edge to secure. Open the zipper. Place the outside of the tote right side up on a flat surface. 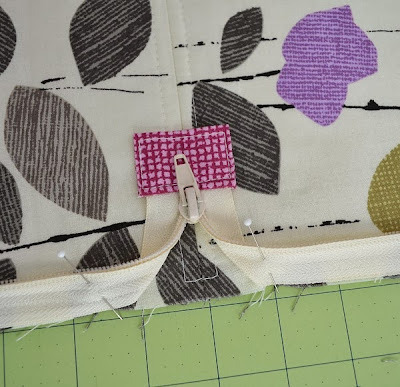 Beginning with the closed end of the zipper at the tote bottom seam line and with right sides together, pin the zipper around the edge of the tote. Fold the straps in and out of the way. Make several small snips at the corners to help the zipper make a nice curve. This is how the open ends of the zipper should look. 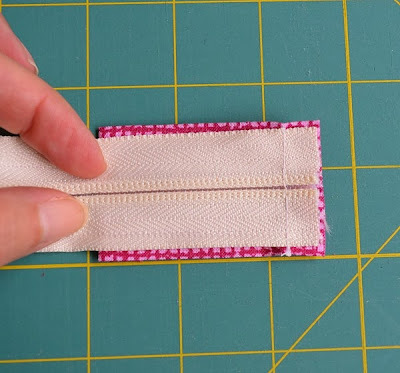 Trim the ends of the zipper to extend 2" - 3" beyond the stitching. Using a zipper foot, stitch all the way around the edge. 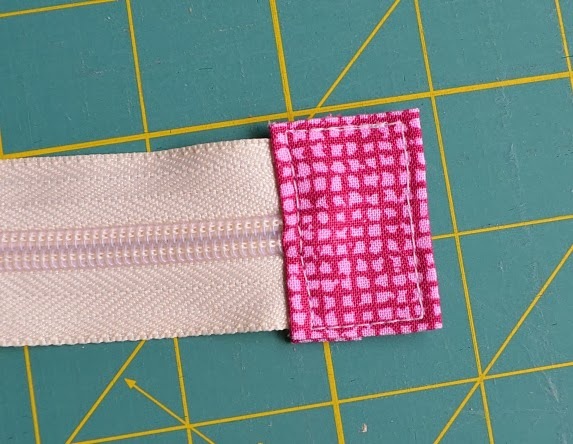 Again, zipper tape widths can vary, but you want to stitch about 1/4" away from the zipper teeth. 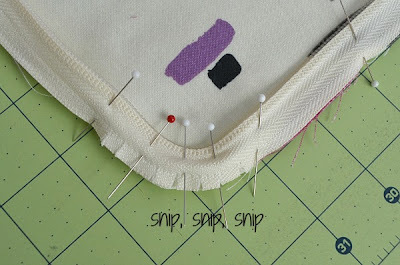 Continue the stitching straight across the teeth at the open and closed ends of the zippers. Go carefully!! Place the lining panel and the outside panel right sides together. Pin well. 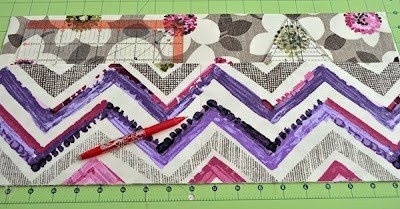 Start at the center where the seams line up, then pin the corners and lastly along the edges. 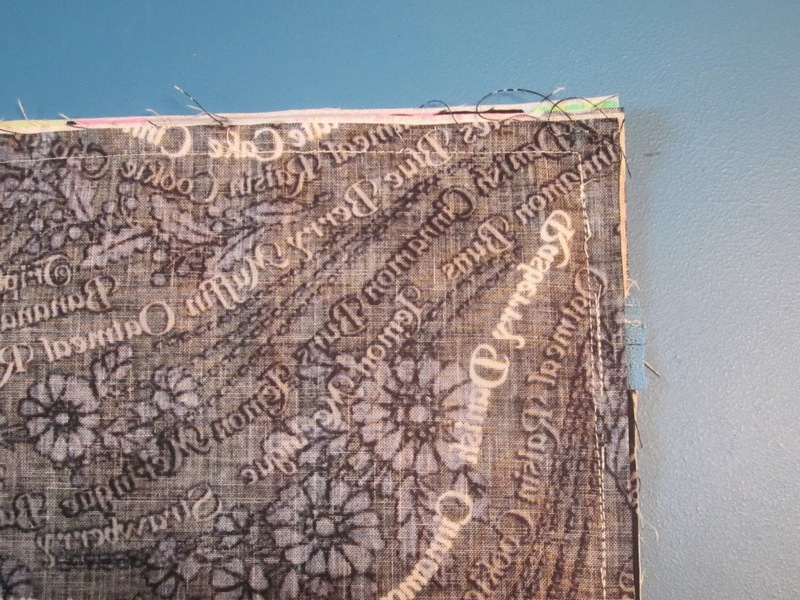 With the outside panel facing up, stitch through all layers on top of the previous stitching. Leave an opening about 8 - 10" for turning. At the curved corners, make several notches in the seam allowances, being sure not to cut through the stitching. Reach through the opening and turn right side out. Slip stitch the opening closed. For a nice finish, top stitch 1/4" from the zipper tape all the way around. Zip it up and you are done!! Fill it up with your favorite rulers and take it to class, a friend's house or a sewing retreat! 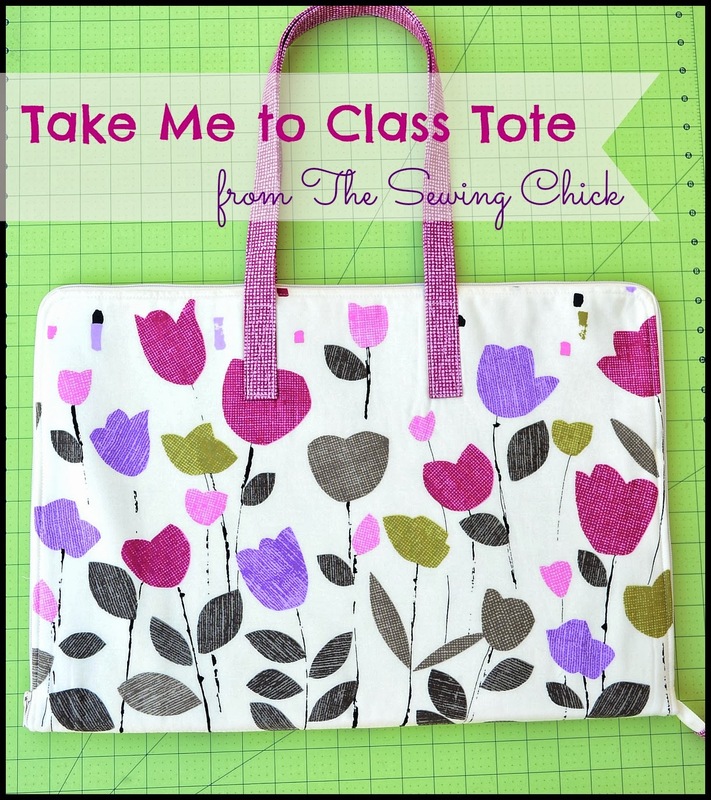 I love that it lays flat - you can take the cutting mat out of the pocket and use it right on top of the open tote, keeping all your rulers handy! 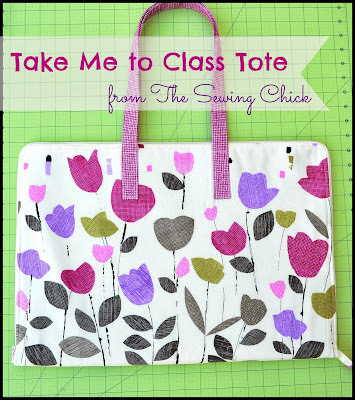 I hope you have enjoyed this tutorial and are inspired to make a tote for a friend or one for yourself! If you have any questions, please contact me via e-mail at theSewingChick@gmail.com. Thanks Tessa! 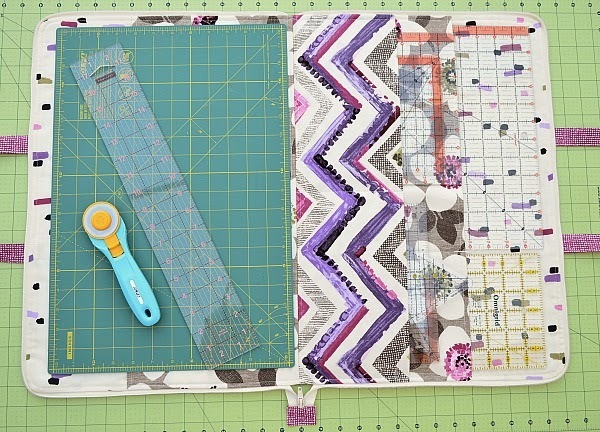 Head over to Tessa's blog to find out how you can enter to win a fat quarter bundle of Cachet. Guess that Fabric Line - Day 3! Guess that Fabric Line - Day 2! Life is Art or Art is Life?